TAKE A BOW AT BOWLEAZE! Loads has been happening on the ArtPix Front recently, with some big changes afoot! 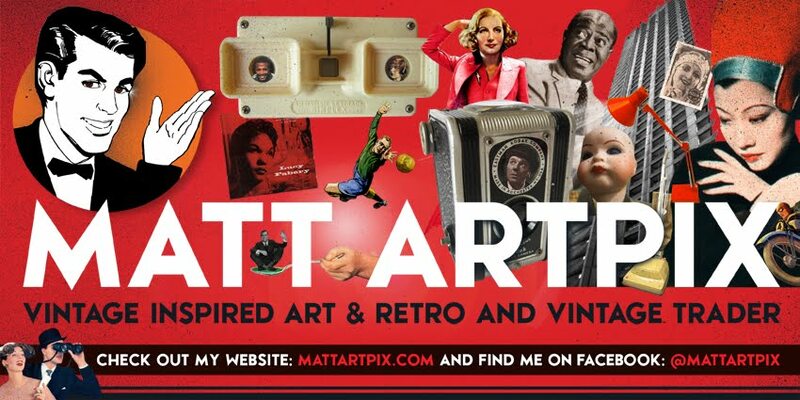 So because all is very busy at ArtPix Towers at the mo, I haven't been able to blog as much as I'd like. But for now, here is a brand new collage that I worked on during my sojourn to Dorset back in January. It's a cheery summery one, and as we are still in the grip of winter I thought it might cheer everyone up!! 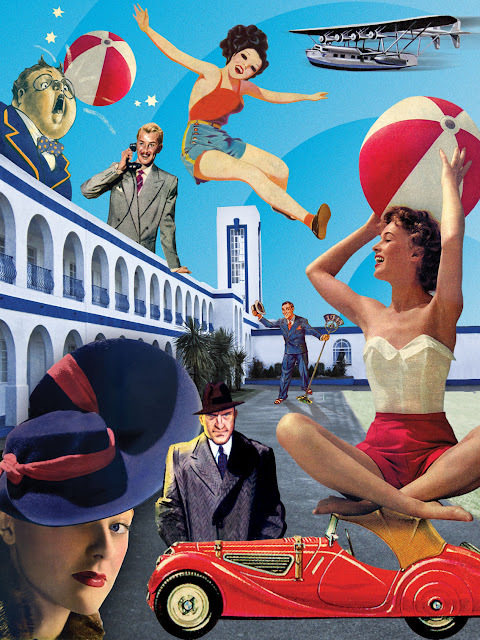 The building featured in the collage is the delightfully Art Deco Riviera Hotel, down at Bowleaze Cove, overlooking Weymouth in Dorset. A fantastical white and blue beauty built in 1937. So have a peep and start planning those summer days down on the beach!!! The biggest surprise of this season's Premier League is the staggering form of Leicester City! After flirting with relegation last season, they currently sit 3 points clear at the very top of the table. The game needs these upsets and to ruffle the feathers of the big teams. It's like a classic cup tie that's lasting the whole season! Their manager is the amiable Italian Claudio Ranieri. I had the pleasure of meeting him a couple of years ago at the Ally Pally antiques fair, where he was doing a bit of vintage shopping! So it makes complete sense at the moment to do one of my popular Retro Football collages on the super Foxes! I always take my time with these, I like to do a full research of the clubs I do, including a run down of their history and achievements. Next up is a look at the fans' cult players down the years. They can either be the lovable rogue or the doughty full back, who served the club for season after season. Research has shown that Keith Weller (remember those black tights?! ), Steve Whitworth, Alan Birchenall, Gary Lineker of course and Steve Walsh are among the faves, but I'm going to plump for Frank Worthington as the main man on this Leicester collage. Although he played for quite a few clubs, his best and longest spell was for the old Filbert Street side. And he was super cool! 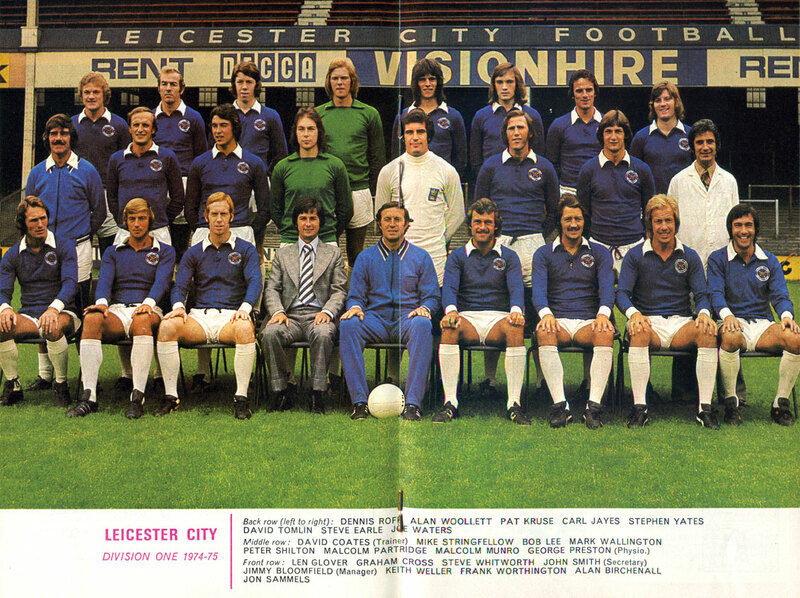 Cracking team group shot from 1974. Check out Frank Worthington in the front row, in between Keith Weller and Alan Birchenall. Luckily for Foxes fans, Steve Walsh will be able to sneak in on this one. The cut off year for my collages is 1989, he made his debut in 1986! Some fans in the past have suggested their fave players for other collages, but they were from the 90s onwards. I always think to be a true RETRO collage it has to be earlier, so a few legends can be left out I'm afraid! Keep tuned and see how I progress!